Spencer Group was responsible for delivering all of the civil engineering elements throughout the £145m East Kent Phase II programme. The Rochester Station works included the construction of three new platforms, each long enough to accommodate the latest 12-car trains (compared to the previous maximum of ten), a new canopy, and construction and fit-out of the new Rochester station. 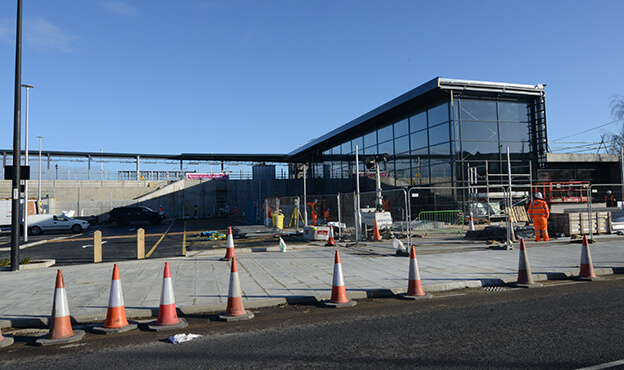 The new Rochester Station was at the heart of the £150 million East Kent Phase II programme to upgrade a 33-mile stretch of East Kent’s railway network, which was last renewed in 1959. The new £26 million facility, which replaces the old Victorian station a mile away, was built around an operational railway, close to the centre of Rochester in Corporation Street. The station is of modern design incorporating the latest high specification finishes, M&E and telecoms for PA, CCTV, CIS monitors etc. with ticket gating. 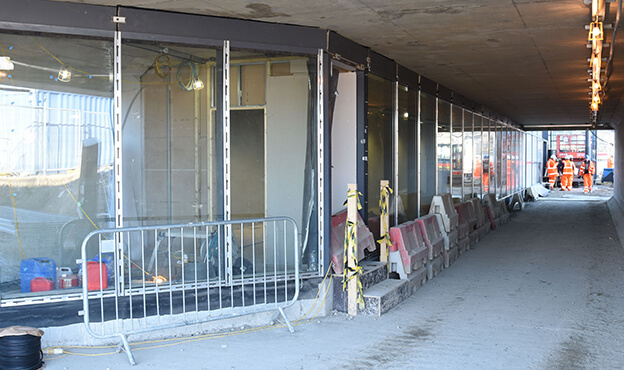 To the rear of the new building, one of the biggest challenges of the project was the construction of an 850-tonne pedestrian subway, forming part of the new station at Rochester. It was built ‘off line’ and adjacent to the existing rail embankment, then installed during a 96-hour blockade over the Easter period. The construction of the new station has given rise to a modern facility which is bright and fully step-free, offering an excellent passenger experience. The station and its underpass are key to a new 1,500 home development, as it allows residents to take a quick stroll between the riverside and town centre or easily catch a train and be in London in 35 minutes. 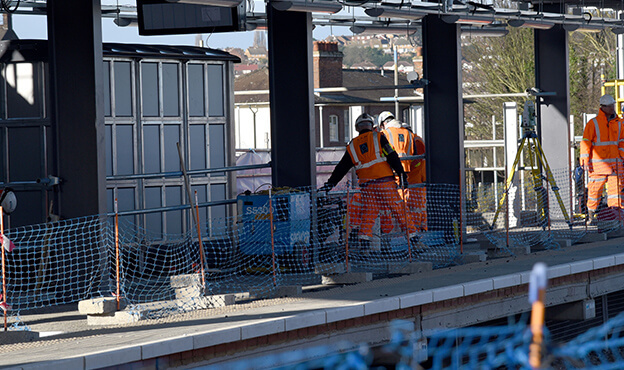 This project was described as an industry model for collaborative working and won three industry awards: Best Collaboration at the 2014 Network Rail Partnership Awards, Most Interesting Major Infrastructure Project at the Rail Expo Awards and Engineering Innovation from the Institute of Civil Engineers in 2015.